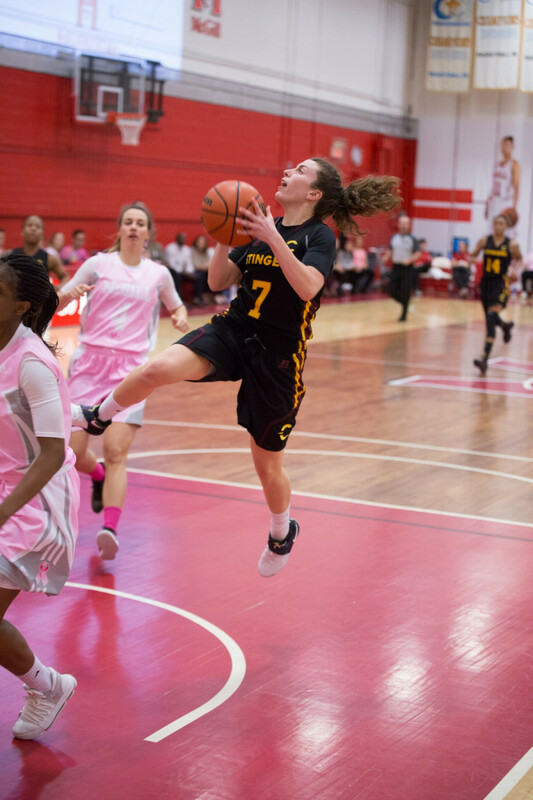 The Concordia Stingers women’s basketball team took their second straight loss to their crosstown rival McGill Martlets at the Love Competition Hall Saturday afternoon. Starting off the third period down 38-22, the Stingers knew it would take some grit to get back into the game. Head coach Tenicha Gittens said the team, in the first two quarters, lacked the defensive edge they needed against Martlets’ centre Alex Kiss-Rusk, who lead the team with 22 points, 18 of which she scored in the first half alone. The team also had to adapt the way they brought the ball up the floor as star point guard Jazlin Barker was benched for disciplinary reasons, the coach explained. When Barker stepped onto the court, the entire team instantly looked more confident and composed, despite McGill almost doubling their score. After a couple steals, fast breaks, and successful drives to the bucket, Concordia appeared to have a second chance at the win. 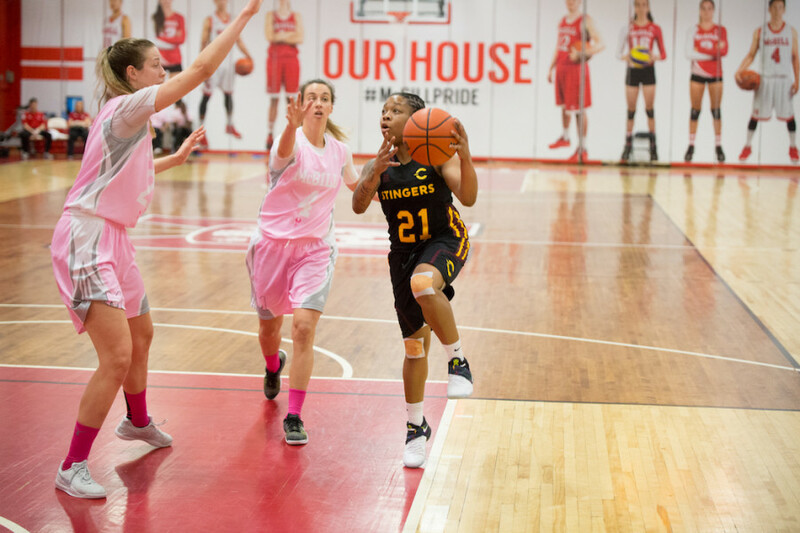 But as the Martlets mounted pressure, the Stingers lost their composure and took their third loss against the team this season, bringing their regular season record to an even three wins and three losses. Coach Gittens said the team will be working over the week at getting possession on defence and working the ball up the court. Concordia won’t see McGill again until Feb. 10, where they’ll be playing with a home-court advantage. By then, Gittens said the team will be ready to beat the top-seeded Martlets. Next, the Stingers will have a chance to get back in the win column when they host the last-place Bishop’s University Gaiters at 6 p.m. on Jan. 18.